As the Q3 earnings season unfolds, the quarterly smartphone vendor shipment numbers are trickling out. Market trackers such as Strategy Analytics and IDC have yet to release their preliminary numbers, but there’s already enough information out there to form some early conclusions. Apple has already announced Q3 iPhone shipments of 39.3 million units, which is a small sequential increase over 35.2 million units in Q2, as you would expect with iPhone 6 sales commencing towards the end of Q3, and was also a strong year-on-year increase over the Q3 2013 number of 33.8 million. In this case we are comparing apples with apples as the new iPhones went on sale at around the same time last year, which implies the more significant design tweaks in the two iPhone 6s have been met favourably. Some early country-level smartphone OS sales estimates from Kantar provide further colour on how the iPhone performed in Q3. As you can see from the Kantar table below iOS has gained share, year-on-year, in Western Europe, China and Australia, but surprisingly lost share in its two strongest markets: USA and Japan. The Japanese decline of 16 percentage points of share is remarkable, especially since overall Apple revenues in Japan increased 5% year-on-year, so it will be interesting to see if the other market trackers agree with Kantar. In the absence of much competition outside of iOS, Android’s global share of smartphone shipments should remain in excess of 80%, but there seems to be a fair bit of jostling for position among the Android vendors. 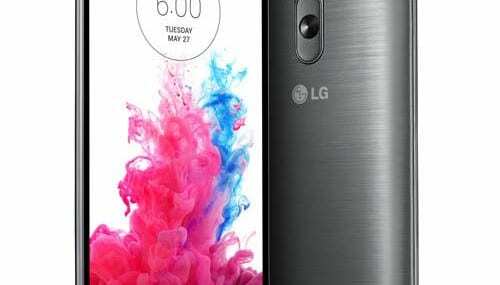 Samsung expects to have another disappointing quarter, while Korean rival LG has recently announced strong Q3 smartphone shipments of 16.8 million, on the back of the popular G3. Samsung seems to have ridden its advantages in component manufacture, distribution and marketing spend as far as it can and is now getting diminishing returns on those investments. The Galaxy S5 seems to have been a relative flop and its competitors continue to raise their game. Of course you should never write off Samsung, but the chasing Android pack seems to be gaining on it. 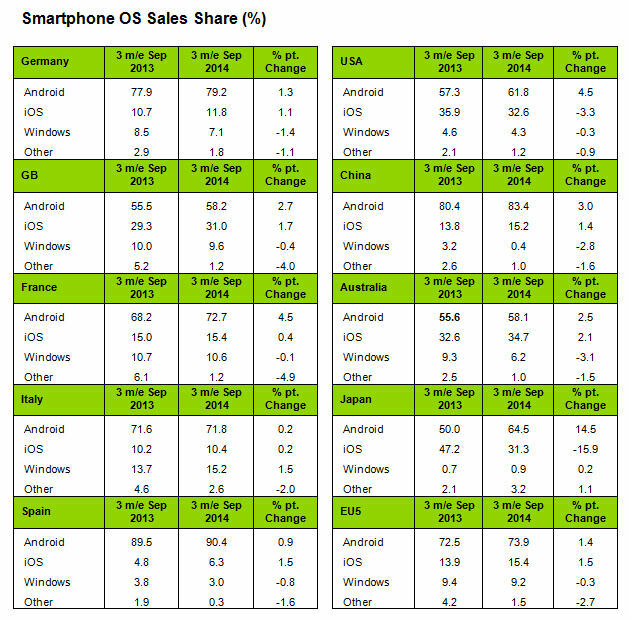 The increased dominance by #Android over #iOS and #Windows agitates for a strategic shift if any of other #OS is to scale. #Samsung continues to face stiff competition from other #OEM utilising #Android; is this a case of market segmentation vs. product customization or has first mover advantage finally fizzled out for #Samsung as the rest of the market rides off the #Android success?